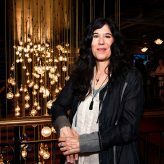 Founded by filmmaker J.R. Niles, the Hollywood Women’s Film institute is a nonprofit feminist organization created to support and facilitate programs and opportunities for women filmmakers and student filmmakers in film, TV and media. 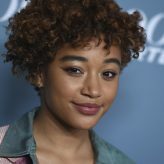 The Western horror story, which premiered last year at the Toronto International Film Festival, centers on Lizzy Macklin (Caitlin Gerard, “Insidious: The Last Key”), a capable German immigrant working to carve out a life alongside her God-fearing husband Isaac (Ashley Zukerman) on a remote stretch of the American frontier. When newcomers Emma and Gideon Harper (Julia Goldani Telles and Dylan McTee) set up homestead nearby, their arrival stirs up Lizzy’s dormant fears of a sinister presence haunting the land and sets off a harrowing chain of events. 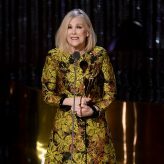 Known for her film roles in “Home Alone,” “Beetlejuice” and in several collabortions with Christopher Guest and her “Schitt’s Creek” co-star Eugene Levy – including “Waiting for Guffman,” “Best in Show,” “A Mighty Wind” and “For Your Consideration” – O’Hara got her start in the 1970s with The Second City improv comedy troupe on its Toronto stage and later on its Canadian TV sketch comedy spin-off, “SCTV.” O’Hara recently talked to Vulture about the sexism she faced on “SCTV,” which aired between 1976 and 1984. 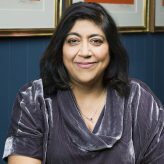 “Gurinder, Paul and Ashok together form a cinematic dream team and we’re beyond thrilled to work with them to bring to life the beautiful story of ‘Pashmina’ – with its universal themes of family, female empowerment, and identity,” said Melissa Cobb, vice president of kids & family at Netflix. 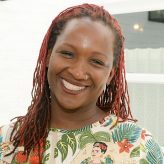 The script, which also had Sony, Endeavor Content and Netflix vying for it, was being likened to “Sister Act” meets “Mrs. Doubtfire,” with the tale of a thief on the run from her old crew who holes up in a retirement home. 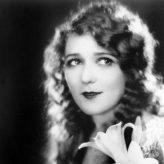 The film will be produced by Temple Hill, along with Stephen Love. “There are so many unheard stories and voices in the African American community that speak to universal themes and the humanity in all of us. 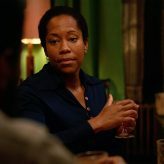 I wanted to use my platform to create more opportunities for directors and writers of color to tell these stories. 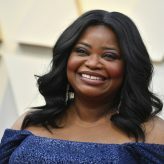 This project has women of color in lead roles in front of and behind the camera,” Octavia Spencer said in a statement. 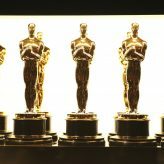 As the Women’s Media Center’s Investigation 2019: Gender and Non-Acting Oscar Nominations found, women are, again, largely missing from the picture, with men receiving 75 percent of the nominations for the 91st Academy Awards, which will be handed up Feb. 24. Oscar winner Kate Winslet will star in and executive produce the limited series “Mare of Easttown” for HBO, Variety reports. 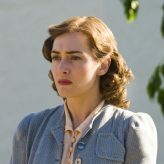 “Mare of Easttown” will be Winslet’s first television role since appearing in 2011 the five-part HBO miniseries “Mildred Pierce,” for which she won an Emmy Award for Outstanding Lead Actress in a Miniseries or Movie. 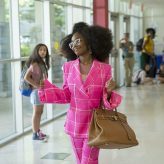 Teen stars Marsai Martin, the vivacious 14-year-old who plays sassy Diane on the ABC sitcom “Black-ish” and Millie Bobby Brown, the charismatic 14-year-old Brit who embodies the superpowered Eleven on Netflix’s sci-fi horror series “Stranger Things,” are taking on the role of film producers. 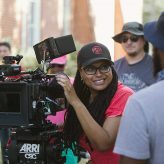 This year’s event will honor four extraordinary black women in film and television who embody the event theme, “The Power Of Our Presence: Art & Activism.” This year’s honorees are actress and activist Amandla Stenberg; actress, singer and activist Jenifer Lewis; actress Kiki Layne; and actress Regina Hall. Coppola won a best original screenplay Oscar for “Lost in Translation,” a drama that starred Murray as a faded movie star who forges an unlikely bond with a neglected young woman (Scarlett Johansson) after they cross paths in Tokyo. 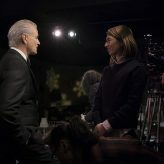 In addition, Coppola was nominated for best director, Murray for best actor, and the movie earned a best picture nod. 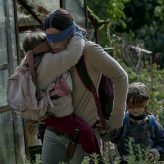 The post-apocalyptic sci-fi drama “Bird Box” has set a record in its debut, and with the Netflix original film boasting both a woman director and a female lead, it’s more evidence that the streaming service is destined and determined to shake up the film industry. 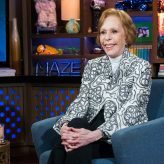 An acclaimed film, television and Broadway performer, Burnett, 85, is best known for “The Carol Burnett Show,” which ran for 11 years and received 25 Emmy Awards, making it one of the most honored shows in television history. 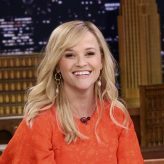 This year marked the golden anniversary of the show, and Burnett returned to CBS Television Studios to tape “The Carol Burnett Show 50th Anniversary Special,” featuring classic sketches and memorable guests. CBS also dedicated a special artists’ entrance in her honor. 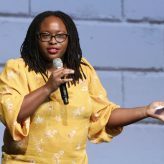 Stuart Ford’s AGC Studios has given the green light to “We Real Cool,” an urban action comedy from “Dear White People” producer Effie T. Brown, according to The Hollywood Reporter. 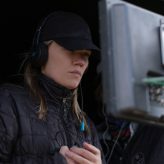 “We Real Cool” will mark the feature debut of Melissa V. Murray, a graduate of the Ghetto Film School and a Sundance Ignite Fellow alumnus, who will direct from her own script. Among the story lines as we await the 2019 Academy Awrd nominations: Will the blockbuster romantic comedy “Crazy Rich Asians” give Michelle Yeoh (“Crouching Tiger, Hidden Dragon”) her long-awaited shot at an Academy Award? 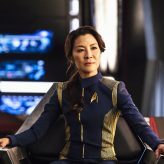 If Yeoh gets a supporting actress nod this year, she will be only the sixth actress of Asian descent ever to be nominated in the history of the Academy, according to Deadline Hollywood. The book, which is to be published by St. Martin’s Press in April, tells of a group of women — wives of military men who would never describe themselves as feminists — who banded together to save their husbands. When their fighter pilot husbands were shot down, captured and imprisoned for years under deplorable conditions during the Vietnam War, the group of well-educated military wives transformed into a league of take-charge lobbyists, human rights activists and even spies. 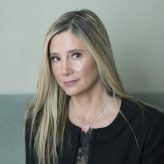 The Oscar winner (“Mighty Aphrodite”) was one of the first to come forward with allegations of abuse against movie mogul Harvey Weinstein, and her resilience has not wavered. She said she wants to work with students — from grade school to high school — to make them understand consent and their physical rights. Determined to rule as much more than a figurehead, Mary asserts her claim to the English throne, threatening Elizabeth’s sovereignty. Betrayal, rebellion and conspiracies within each court imperil both thrones — and change the course of history. “Mary Queen of Scots” is due in theaters Dec. 7. Olivia Munn, Yara Shahidi and Chrissy Metz will be honored at Girl Up’s first annual #GirlHero Awards, hosted by Kristen Bell, Scarlett Johansson, Tracee Ellis Ross, Gabrielle Union, Katy Perry, Renee Zellweger and Tony Goldwyn. 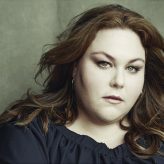 The awards luncheon will celebrate those advocating for gender equality and is set for Oct. 14 at the SLS Hotel in Los Angeles.